Ever have one of those days where you just wanna make something? I have those days alot but the problem is sometimes i don't know what to make ... so i just go into the kitchen and start experimenting. 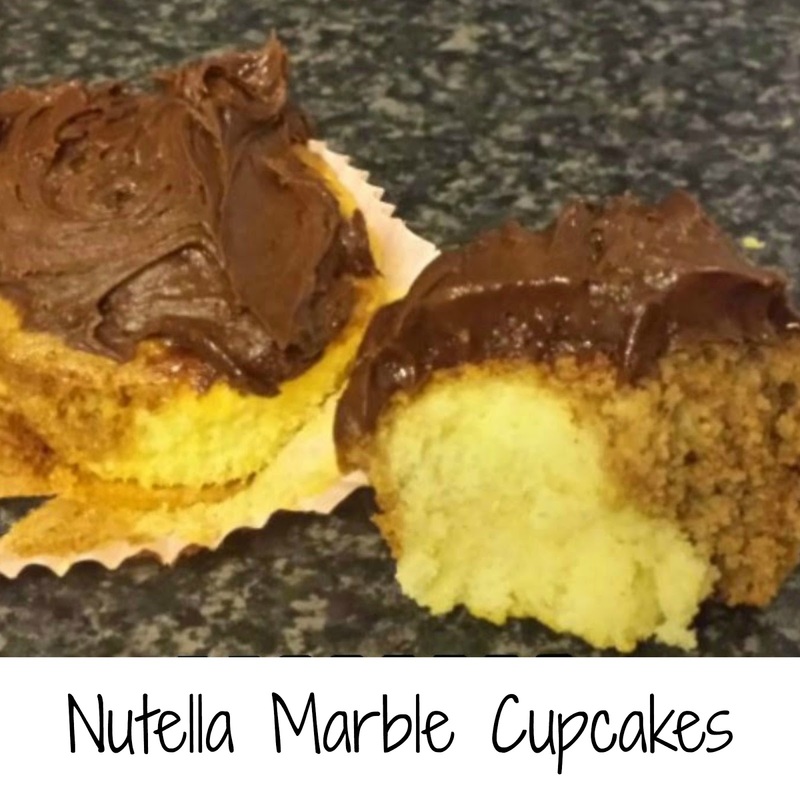 This recipe is just like any basic cupcake recipe I've made with a little difference. Cream together the butter and sugar. Add the eggs one at a time and mix completely. Gradually add the flour a little at a time till it is all combined. 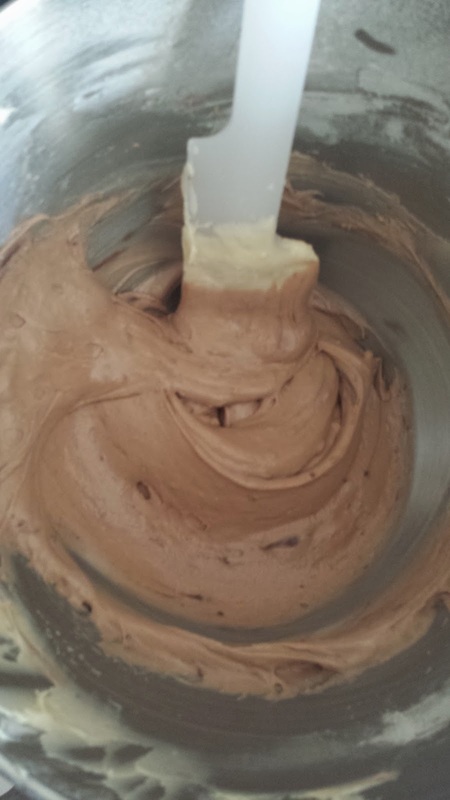 Divide the mixture into 2 bowls and add the vanilla to one and the nutella to the other, then mix each bowl. 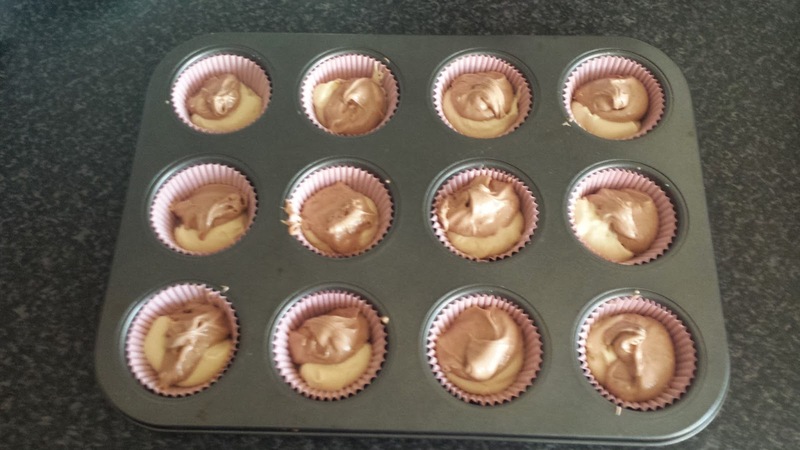 Place cupcake cases in a tin and add a little of each mixture to each case. It doesn't need to be exact, there can be a little more of the vanilla over the nutella or vice versa. Give the tray a little shake so that the mix gets right to the bottom of the case ... Saves you getting one of those pesky air bubbles at the bottom. 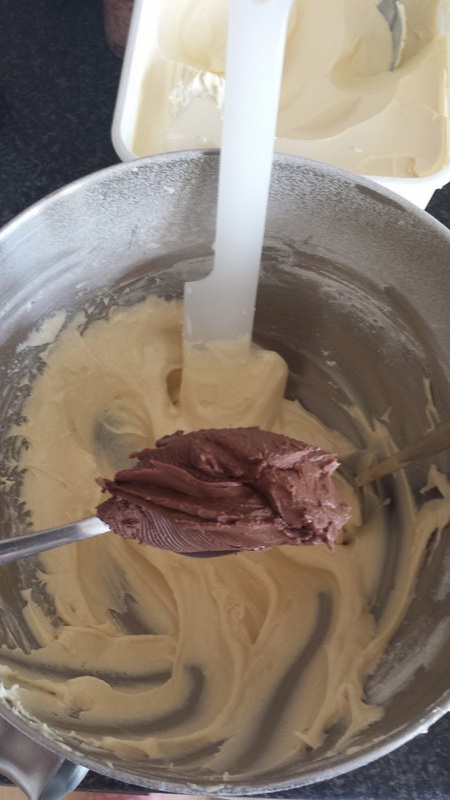 Bake for 10-12 min or until the cakes are cooked all the way through.